Wine Decanter - Hand Blown, Lead-Free Crystal Glass. ENRICHING FLAVORS & AROMA – This classic magnum wine decanter helps oxygenate your wine to unlock bolder flavors and more decadent aromas for a bold, more engaging taste you and your guests will love. HANDBLOWN ARTISTRY – These crystal wine decanters are made with lead-free, hand-blown glass to create smooth pouring elegance. The long neck and easy-to-control base offers style and convenience. LARGE SURFACE AREA, RESTAURANT-STYLE CAPACITY – A perfect addition to any host or hostesses party plans, these 2000 mL red wine decanters can hold and aerate two 750ml entire bottles of wine for superior oxygenation, ideal for hosting guests or holiday events. 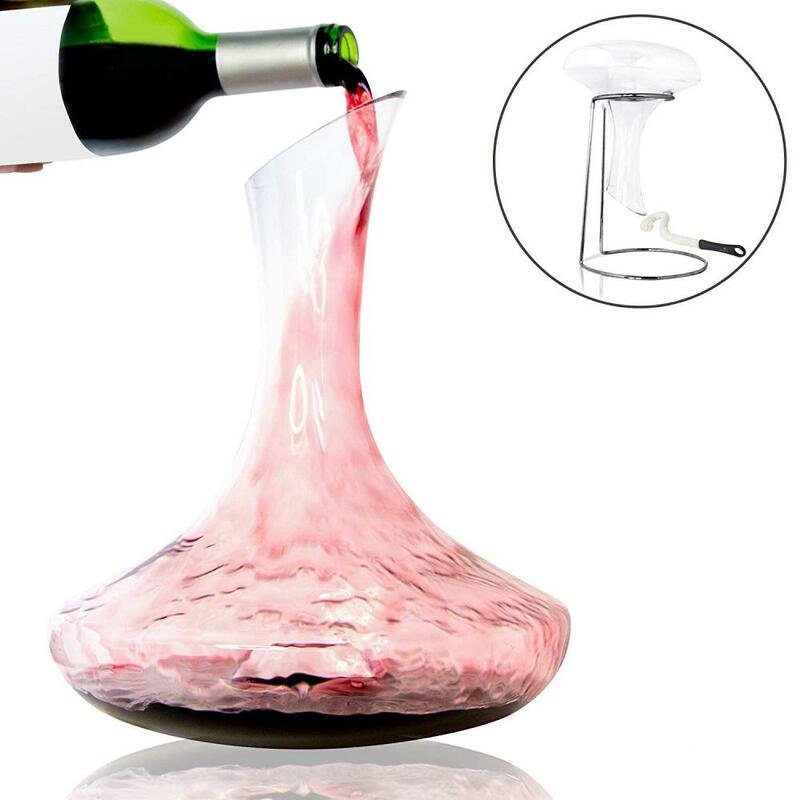 LONG NECK, EASY-POUR NO DRIP SPOUT – Along with a wide, stable bottom and elegant neck, this spill proof wine aerator with ergonomic, grippable indenture on the bottom makes it easier to hold and pour; perfect for men and women alike. Looking for ideal Decanter Manufacturer & supplier ? We have a wide selection at great prices to help you get creative. All the Glassware are quality guaranteed. We are China Origin Factory of Decanter. If you have any question, please feel free to contact us.